Mrs. Marla Weber’s second graders at the Exeter-Milligan Public School have been writing pen pals letters to students in Grade 2 at the Friend Public School this year. To add a little twist to this exchange of letters, the EM second grade requested their pen pals participate in another activity. 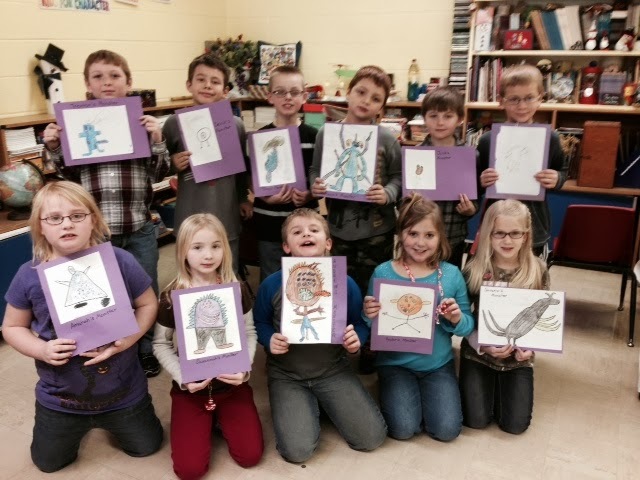 Students at each site drew pictures of monsters. Each student then used descriptive words to explain what his or her monster looked like. The descriptions were delivered to their pen pals. Based only on the details shared with them, students tried to recreate their pen pals’ monsters. This activity was not only fun, but allowed students practice descriptive writing. The two classes plan to compare the drawings via Skype.